New pages of my sketckbook. Many of you have asked me what brand of sketchbook I use. I got my sketchbook from a Canadian store called "DeSerre". If you're in Canada you can order it online. I ♥ using metallic guache for details. You can click on the images to see them bigger. Your drawings are absolutely beautiful! Wow this is so beautiful and inspiring. I really dig your work! OMG!!!!! I LOVE THIS SO MUCH!!!!!! What keeps us all coming back is the lighthearted and whimsical feel of your sketches. They are full of magic, joy, and good times. 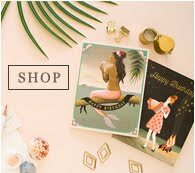 I am glad that I have a pretty blog to keep coming back to! Joojoo, you are an inspiration. I'm always so excited when you post a new sketchbook page. Your sketches are so precise and absolutely gorgeous! My sketchbooks are an absolute mess! It's a great emotion virtually browsing your sketchbook: thank you for sharing it! Oh! Is this heaven?! That chain of flowers is absolutely gorgeous! 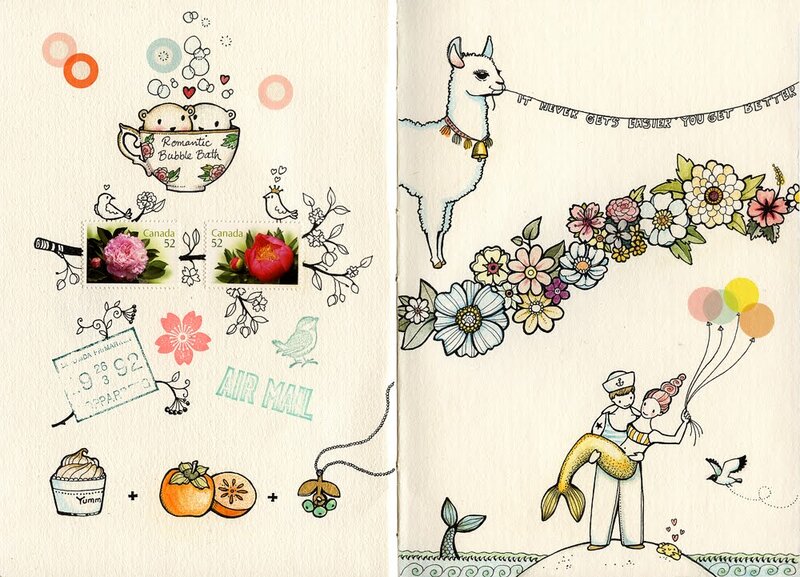 I love every detail in this page, look at that small happy crap , or that little wise llama! I often come back to your blog over and over, and stare at your artworks... Thank you for being so colorful! 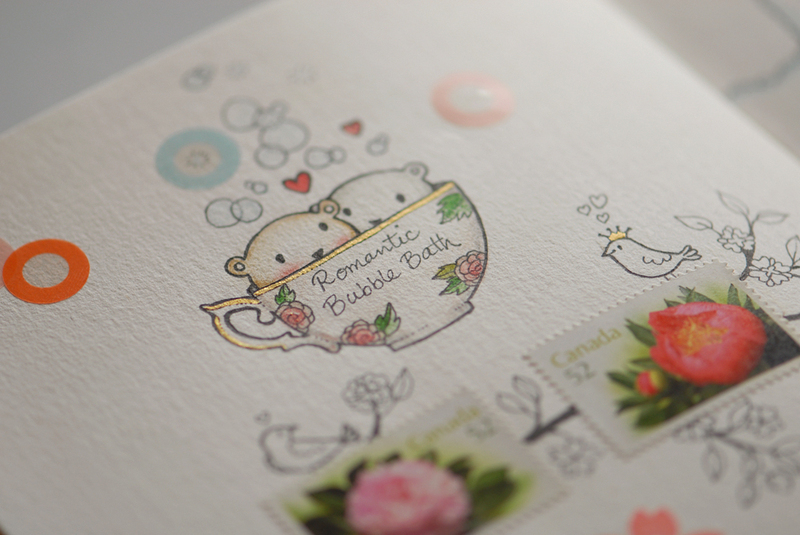 You should make a print of the tea cup and "Romantic Bubble Bath" I absolutely love it! Oh, I'm so glad you're back! 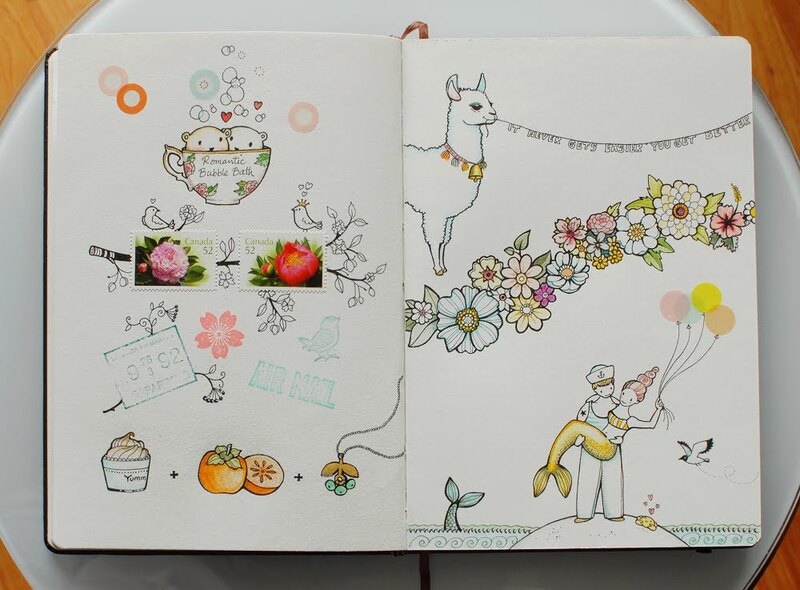 Your sketchbook pages are such a treat for the eyes! I love your line quality and sense of color. The mermaid tails and the flower motif are stunning! 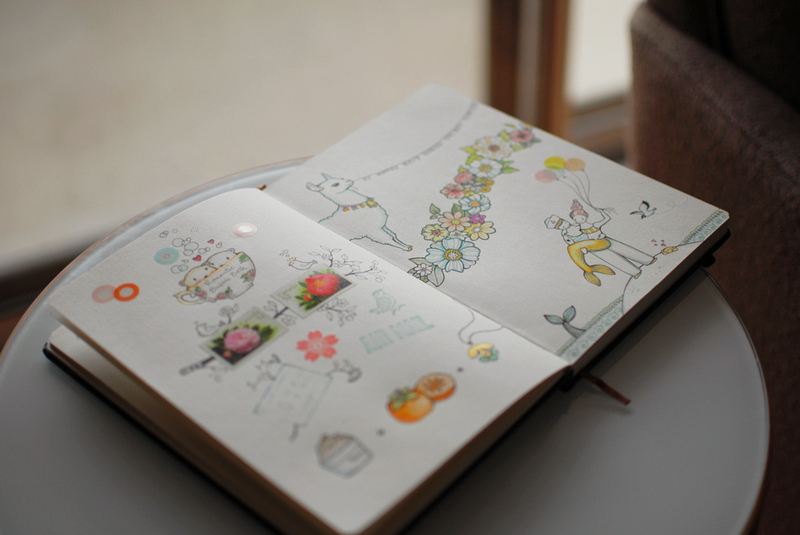 thank you for sharing your sketchbook, the drawings are so lovely. Istar: Thanks a lot dear :) Soon I will have some snails for sale, but maybe somewhere other than my Etsy shop. Please check my blog and Facebook for the updates. Your work is cuteness and love. Adorable! You are so talented. Your blog is a feast to the eyes. Love your work, is very clean, love it.